Part of our job as stylists is to keep our guests looking updated, but doing so within their budget as well as their comfort zone. 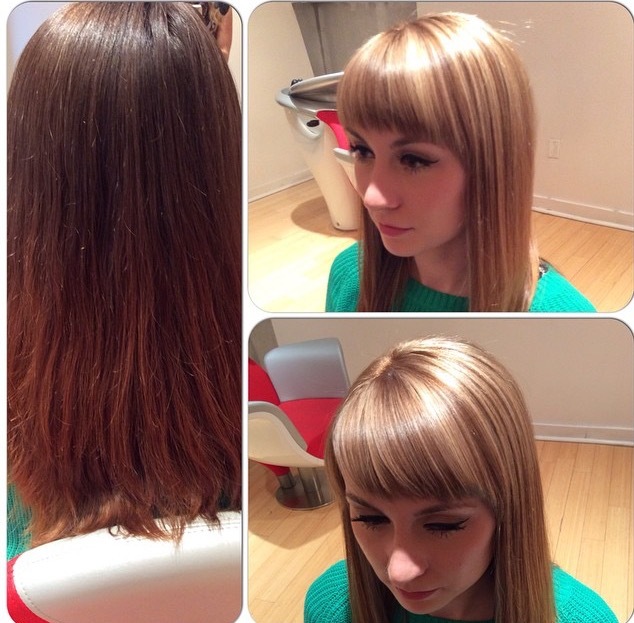 For guests that like something with lower maintenance, hair painting is a great way to go. 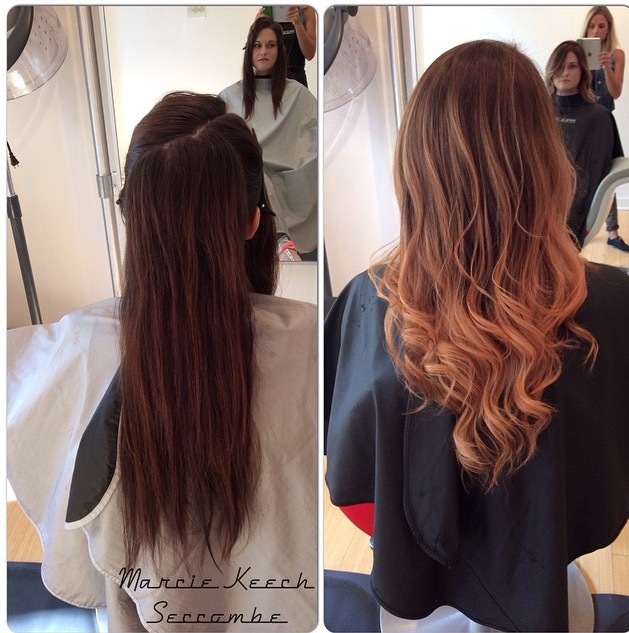 For this guest, Marcie Secombe, a National Educator in Memphis TN, left the base as is and used SynchroLift™ and 30 Volume to paint lighter pieces throughout. 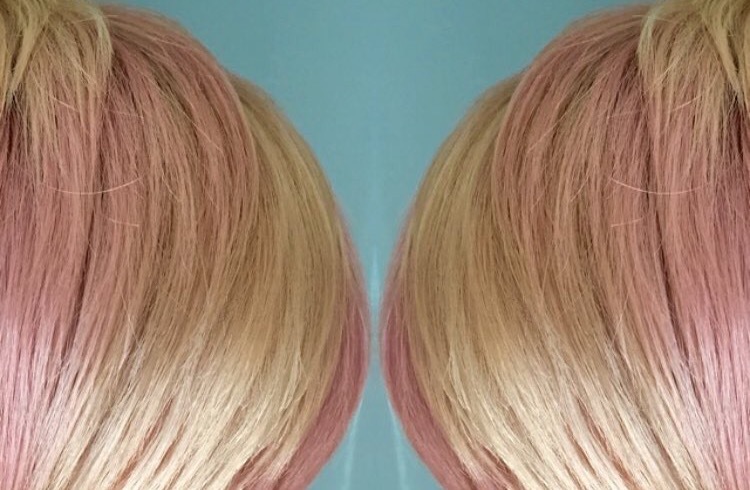 She then toned everything with PM SHINES® 8N, which put a beautiful top coat on the hair while still allowing some of the dominant pigment to reflect through and give it a more natural end result. On this guest, I used SHINES XG® 7N and 7G with 10 Volume to lift her natural level 6 just slightly. I then used SynchroLift and 20 Volume to paint the pieces that I wanted to be lighter and I toned with SHINES XG 9G and 5 Volume. For guests that are looking for a more significant change and are willing to commit to a bit more maintenance, try changing their base color as well as adding highlights. 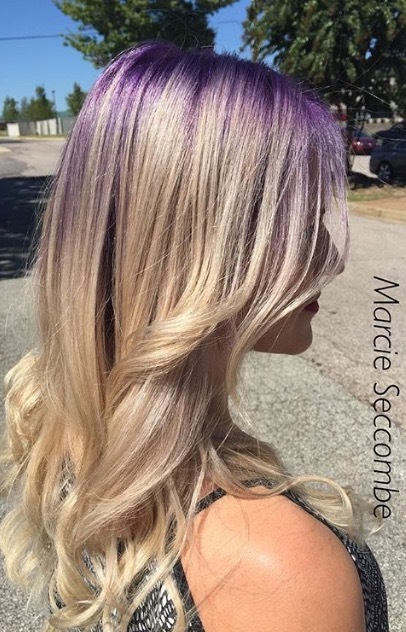 For this look, Marcie first used Paul Mitchell® the color 8PN and 30 volume from scalp to ends and then used a traditional foil placement with Lighten Up® and 20 volume. She toned with PM Shines 9V with 3 Violet Color Shots. 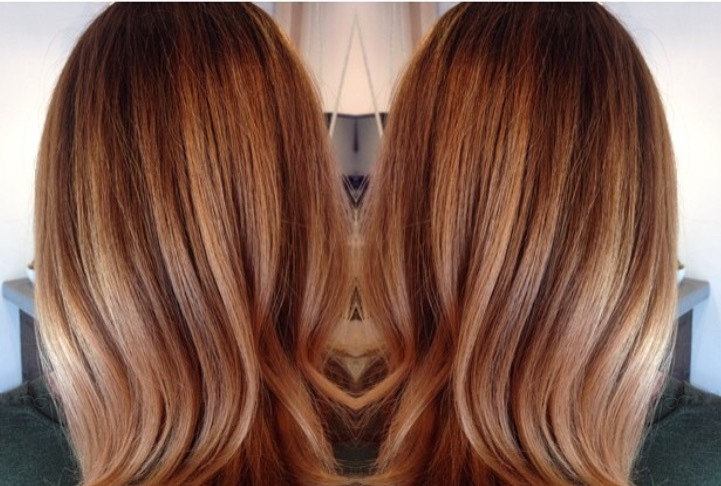 And for our guests that want to try something bold, try doing a double process; lighten first and then place a fashion color over the top. 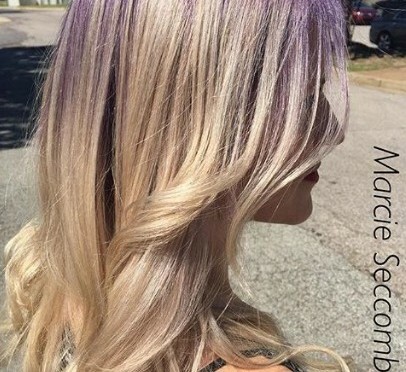 For this look, Marcie lightened using SynchroLift and 20 volume, toned with Paul Mitchell the color 8PN and 10NB and 5 Volume, then painted the color XG® UTV with 2 inches of violet intensifier and 10 Volume on the root area. For this look, I also used SynchroLift and 20 Volume in a platinum card technique to lighten the canvas. I then toned with the color XG UTV and 10N and placed diagonal panels of 10P with a pea size dot of red intensifier through the top. No color makeover service is complete without the proper Take Home regimen, so don’t forget to send your guests home with the Paul Mitchell products that will allow them to maintain their color and recreate their style.